Closer than ever to the once delayed Godzilla follow up, many self-professed Kaiju fans are giddy with child-like excitement. With just months to go until it hits theaters, here’s a list of predictions to consider. We know from Kong: Skull Island’s post-credit scene that Monarch was in search of the other monsters, stating that Kong was “not the only king.” The images shown on the projector are of Mothra, Rodan, King Ghidorah and, of course, Godzilla. Because the focal point of the story was set in 1973, it’s plausible they’ve long since captured Kong and cryogenically froze him, the way we see Ghidorah frozen in the trailer. Setting Kong: Skull Island nearly forty years before Godzilla (2014), helps establish a sense of history in Monarch’s pursuit of the monsters, but it’ll be interesting to see whether or not they give clear specifics on where they came from. Ghidorah was originally said to be from Venus, but from the trailer, it would seem they’ve changed his origin and it would be a shame to leave it vague; unless it’s something Legendary intends on doing in spin-off franchises of their own. Before stomping across screens in 2020, giving a new and exciting definition to the term, “The Roaring Twenties” (see what I did there? Fine, I’ll stop), King Kong’s arc has to almost add up to Godzilla’s. If they’re both in 3 movies, I think the audience will have a tougher time deciding which side they’re on, assuming there’s one to take. If Godzilla is said to be a restorer of balance and he has at least two foes to face off against in this film (unless it’s every monster for itself), something has to happen to make either he or Kong bad, because if both are good and not harming anything or anyone, balance would already be restored, right? 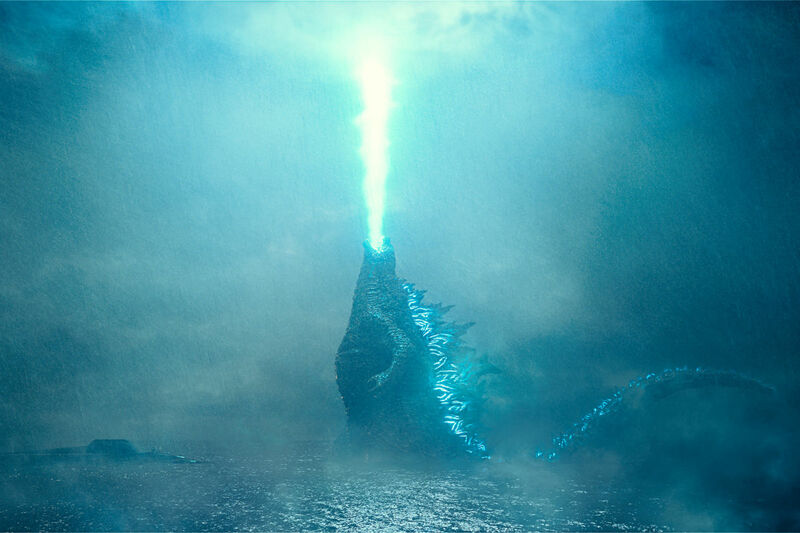 Furthermore, because the third film is set to debut next year and is already said to be filming, it’s plausible the story will take place momentarily after Godzilla 2 ends. Director Michael Dougherty teased us fans nearly two years ago, posting a picture of the Oxygen Destroyer from the 1954 original. In the trailers, Vera Farmiga’s character, Dr. Emma Russell, expresses her opinion on how the titans are the key to human existence. Whether or not she’s good has yet to be seen, but I’m willing to bet she’s pulling all the strings, somehow manipulating the titans to cleanse the world of life as we know it. What does every scientific evil genius need to complete their mission? A back up plan. I don’t think any of the carnage and fiery destruction in the trailer is a result of the Oxygen Destroyer, that seems a little too final for this picture — but maybe in Godzilla Vs. Kong. It’ll be talked about, sure enough, and probably even shown, too. It just wouldn’t make too much sense to discover the titans, bring them to a populated area and allow them to destroy everything all just to nuke them. If that was the plan, they could’ve used Skull Island as “Monster Island” from the 70s films. We know that Dr. Emma Russell is mother to Millie Bobby Brown’s character, Madison and Kyle Chandler is playing Mark, Emma’s husband. Judging from the trailers, Madison is likely close to her mother. Close enough to be curious about her work and Emma willing enough to share it with her. Maybe this serves as a misguided justification to Emma that what she’s doing is right, that her plans for the future will be better for her daughter than any other option. My thinking is that because we see a lot of Madison screaming and crying alone, she somehow snuck back into the city while it’s being evacuated. Not because she’s stupid, but because she’s willing to bet Emma won’t go through with carrying out her plans if she knows she’s there. I think Madison wants to save Mothra, especially. Mark, probably a deadbeat father, wants to make up for lost time and play hero. This will somehow shape up to be the defining moment in which Emma realizes what she’s doing is wrong. No harm will come to Madison or Mark, but surely something will happen to Emma. Don’t get me wrong, I don’t think Monarch is entirely bad, I’m just speculating the people in charge are — because they always are. And, if you’ve seen Godzilla and Kong: Skull Island, one of the bigger names attached to those films perished, however anticlimactically. At one point in the trailer, Madison is smiling, even though she’s in the middle of the wreckage. My guess is she’d just been saved. Maybe by Mothra or Godzilla, maybe by Kong? Speaking of Kong, Kyle Chandler was in Peter Jackson’s King Kong, so maybe there’s a hint or Easter egg in there somewhere? This is the first Americanized production of a Toho franchise to feature Japanese Kaiju other than the Godzilla reboot. Isn’t it conceivable Legendary would want to put their stamp on history, not just by bringing these creatures to the silver screen, but by introducing a new one? Or, and better, adding in others? The trailers seem to give an awful lot of detail, so I can’t help but think maybe there’s something they’re keeping as a surprise. If anything, Gamera or Anguirus would make sense over the more scientific or alien creatures introduced in later installments. In the post-credit scene of Kong: Skull Island, the Monarch presentation scene plays fairly quickly, but there’s a brief second or two where we no longer see the projector, we see the characters reacting to what’s being shown to them. What if they saw more than we did? It was already obvious Ghidorah, Rodan and Mothra would be involved, because they’re teased in the 2014 reboot. Fans of Godzilla surely know Minilla; Godzilla’s son, who first made an appearance in the 1967 film, Son of Godzilla. By this time in the series, it was somewhat lighthearted and filled with humor. However, there’s always a way to take something comical and make it serious. In Americanized versions, Godzilla is considered male, and I believe a representative of Toho has stated as much, as well. Still, there’s a theory that suggest it’s a hermaphrodite. Any way you look at it, it doesn’t matter at this point and here’s why. In Kong: Skull Island, they make it a point to inform us several times that Kong is the last in his family. Unless I’m forgetting something, nothing is truly known about Godzilla in the reboot. Isn’t it possible there’s an egg somewhere, perhaps cryogenically frozen the way Mothra seems to be? In one of the trailers, Mothra isn’t fully developed yet. The Mutos in the reboot were laying eggs. The movie focused on a man trying to save his family and, at the same time, battle his father’s obsession with past events. Kong: Skull Island featured a father who wanted to get home to his son. Well, two fathers, actually. Family seems to be a strong subject in the franchise, overall. That stated, isn’t it at least considerable that we may see an egg hatching at some point? Think I’m way off base with this list? Fair enough, but I could’ve jokingly predicted that Eleven opened another gate, bringing the original Titans back into existence; or that Thomas Middleditch is going to try and sell them Verizon phones. Although we have to a few more months until we know anything for certain, it’s always fun to theorize and imagine how each scenario could play out. Tell us what some of your predictions or theories are. "The extreme! IT'S THE EXTREME!"